The Holy Grail of Formula One: Is Fangio the greatest of all time? 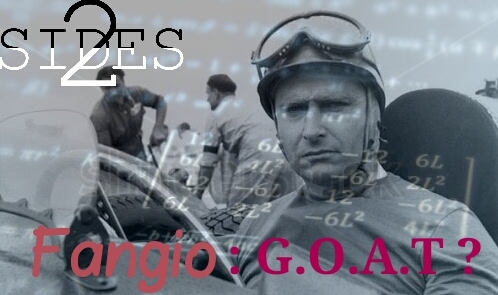 HomeSportThe Holy Grail of Formula One: Is Fangio the greatest of all time? car? Schumacher? Senna? Someone else? This article discusses the paper published on the subject by The University of Sheffield. I trust the instincts and judgement of the reader, and hopefully there will be consensus. All I can do is to shine some light in the darkness: To provide some food for thought. Without further ado, let's ponder over the problem. a team? Who is the greatest driver ever? questions. Each of them presented different results, which were really close. A study by Eichenberger and Staddelmann (2009) gives almost the same result as this one's. Another study conducted in 2014 threw in a different result. explains the lack of coherence of results generated by the different studies. their prowess in the wet and on tight circuits. this top ten, with minimal differences. he managed to last an entire race more often than not. His is a case of a driver out-driving his car. For a guy who scored only 12 points his entire career, this is an outrageous rank, isn't it? Alain Prost makes the matter worse for the fans. The team studied and analyzed the "results" of the races and not the way races played out. admitted to the inability of eliminating the influence of luck from the study. intrinsic dynamics of the sport exhaustively. Finally, the bone of contention that I had agreed to explain. top-crop, despite becoming a world champion. skills). Rosberg apparently benefited a lot from beating an off the peak Schumacher. mathematical modeling to satisfy our thirst to know. should be taken with a pinch of salt because it is not perfect.